Be the beacon of vehicle safety in your community, win new customers and retain your site’s traffic. Your customers and prospects are looking to your dealership for help You’re working so hard to drive traffic to your website or to come into your store for vehicle sales and service, yet you send them to the factory website when they need to check their VIN for a recall? Stop losing valuable site traffic to the factory, where those customers could be referred to your competitor for recall repairs. Marketing professionals understand the value of website traffic. 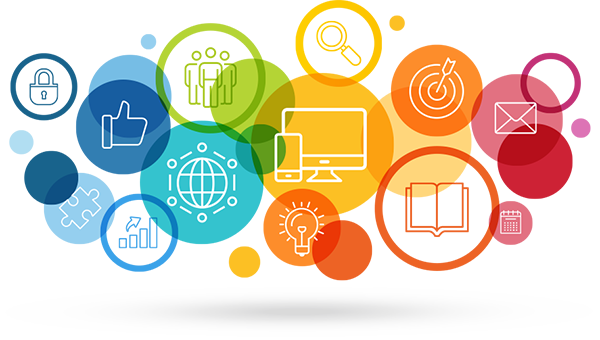 These site visitors are customers and prospective customers who are turning to you in their moment of need. 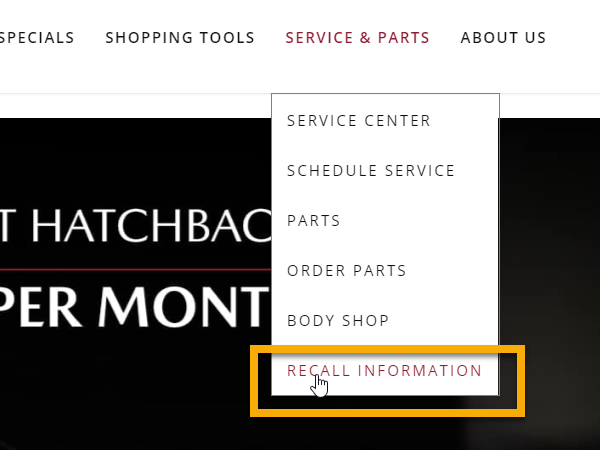 Position your dealership as the go-to destination for recall information and service by adding a website widget from Recall Masters that is customized for your dealership. Promote your Recall Department webpage in social media, Google local ads, site navigation and banners, driving new prospects to engage consumers by offering them a unique service that promotes safety, preserves your brand integrity and differentiates you from the competitor. Recall Masters will build your customized recall department webpage and help you integrate it into your website. You’ll notice a number of features that are exclusive to you, beginning with your messaging and your branding. 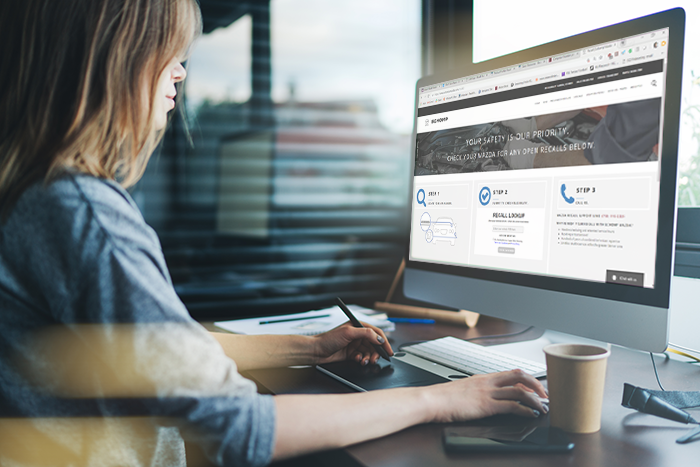 The experience is completely customized for your site visitors, making sure that the traffic that visits your website and clicks over to this recall department webpage never leaves your domain. This webpage is not an iFrame, but rather a responsive page optimized for mobile users. Your dealership invests a lot of time and money attractive site visitors, so why would you give valuable traffic away to the factory? Will the factory refer recall repairs back to your dealership or will customers and prospects be lost to a competitor? Having your own recall department webpage allows you to provide a important service to your community while retaining these site visitors. 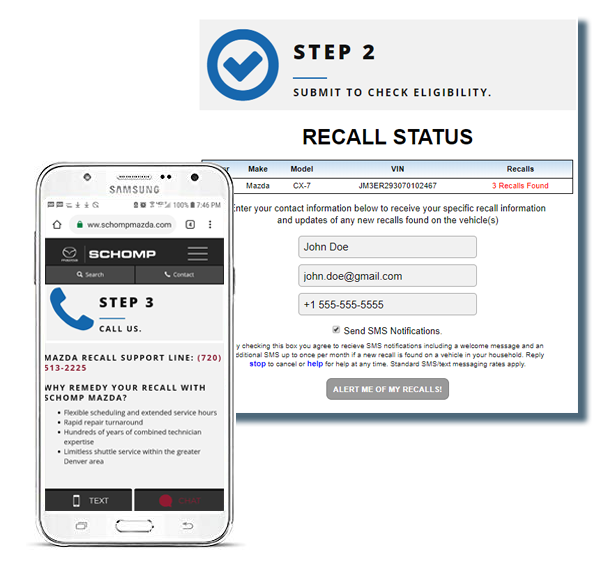 VIN check services unleash the powerful Recall Masters recall database so that site visitors get the information they need to make an informed decision. All contact information points them back to the dedicated Call Center services team that answers using your dealership name, all staffed by Recall Masters so that your dealership or BDC doesn’t have to field these inquiries. Consumers enter their 17-digit VIN and receive recall check results almost immediately. Consumers also have the option to submit their contact information to your dealership in order to receive details or to be alerted of future recalls. All recall department webpage leads are yours to keep. Some dealerships use this feature as a lead capture tool, reaching out to vehicle owners who require recall repairs or who may be ideal candidates for new sales. VIN check services are not limited to vehicles of your brand, but, rather, allows site visitors to run all the vehicles in their household. Assisting consumers with recalls opens the door to seek your dealership out as a responsible member of the community and trusted partner in the automotive industry. Recall Masters Call Center Services serves as your virtual Recall Department. 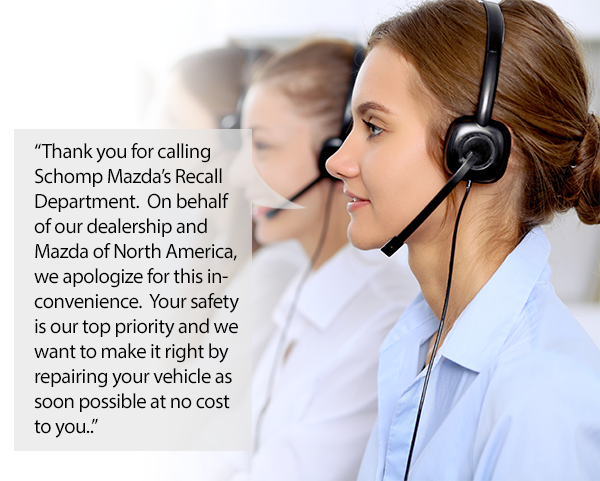 When customers call into your dedicated Recall Department Hotline, we’ll answer the call using your dealership’s name, apologizing for any inconvenience caused by a recall. Our knowledgeable team of recall agents will walk the consumer through the process, answering all their questions, reviewing any dealer amenities and securing the appointment directly into your scheduling system (where applicable). Recall inquiries can sometimes take as long as 15 minutes per call. Don’t clog your BDC with these types of inquiries. Our dedicated agents have all the information related to their recall at the ready in order to secure recall repair appointments in a timely manner. We’re focused on bringing these consumers and recalled vehicles into your dealership. Once your Recall Department webpage is up and running, you’ll want to make sure your site visitors can get to it quickly through header and footer site navigation menus and through any web banners on your site, especially those on your home page hero banner. Never shy away from letting your shoppers know that their safety comes first. Your Recall Department webpage is a gateway to new site traffic. Optimize for local search results that match the keyword “recalls” with your brand, dealership, city and county. Thousands of consumers are searching for help with recalls, and local search wins out every time. You may also want to set up Adword campaigns to buy these searches for zip codes in your PMA, analyzing conversion rates for searches and lead submission. Several dealerships also run social media campaigns, targeting their followers or other local brand followers in their local market. 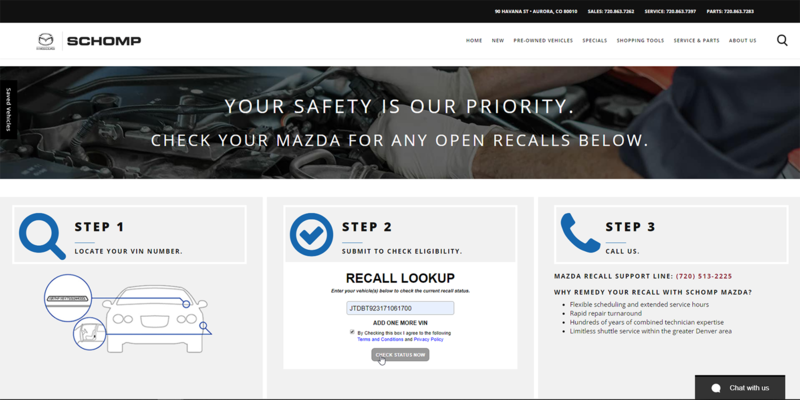 Use the Recall Department webpage as the landing page and promote safety to those in your community. These types of connections build loyalty because they promote the social good – big for Millennials!